Having received an order over at DarcyArts for a big red catnip squid, the first since January, took the opportunity to revamp my red squiddie ever so slightly. I decided to add eyelids in a nice grey fleece. 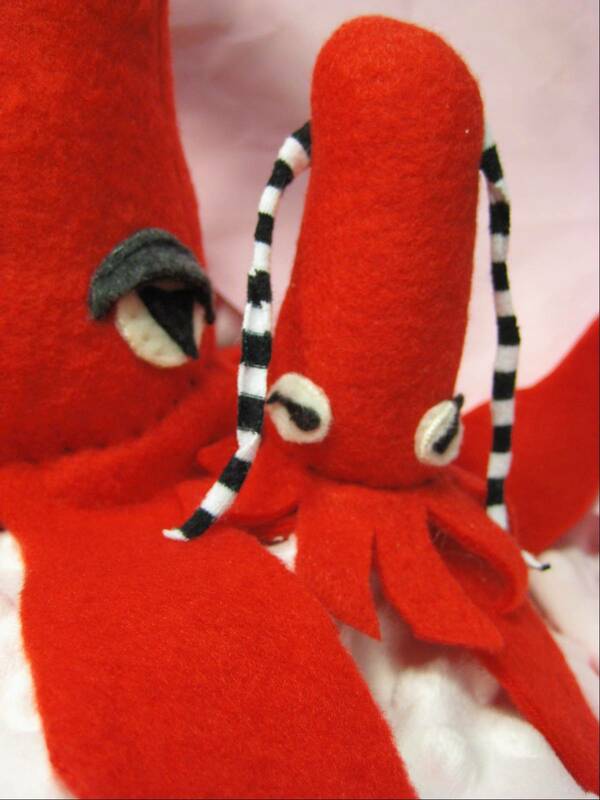 I also am adding the little stripey travel size squid to all big red squid orders. the are so very cute. I really like this bright red for the squid. The precision with which buyers have managed to avoid buying catnip toys while my new batch of organic catnip grew in is just amazing. I’ve had the fresh cuttings drying in the laundry room for only a few weeks. Man, is it pungent. The kitty who gets this will go wild. To see the lucky recipient check out Sam Hisey’s the Factory101 web site. The picture of his pretty black cat is in the “about” section. Hisey does graffiti for the indoors. Nice work in bright colors. I like it alot. 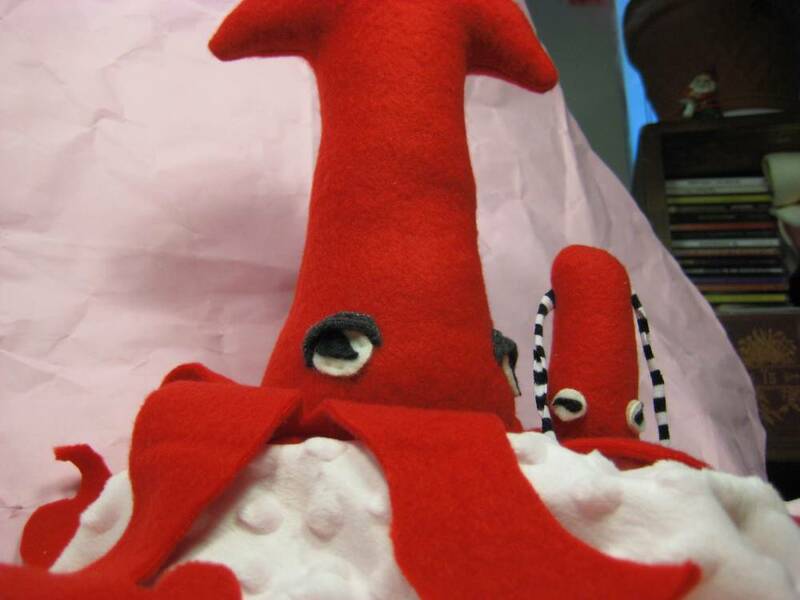 This entry was posted on May 31, 2010 at 2:45 pm and is filed under constructions, cute, etsy, plush critters with tags catnip squid, eyelids, mini squid, the Factory 101. You can follow any responses to this entry through the RSS 2.0 feed. You can leave a response, or trackback from your own site.